Murmuri (Murmur) is a reflection on a universal language, an in-depth research on the material in mutation and the origins of form and sound. 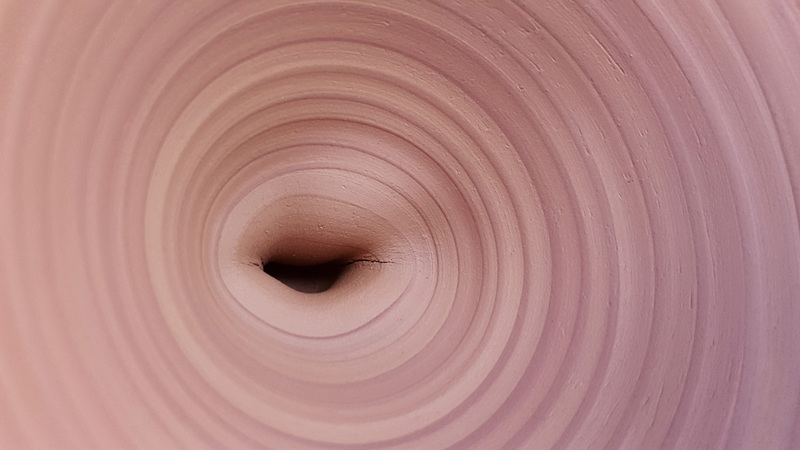 Channeling the tradition of clay art, Andorran artist Eve Ariza works on the multiplication of the bowl as a container of truth and placidity. The ceramic bowl appears as the first form modeled by man with an intention. She purposedly tears its base to reveal a mouth-like shape, thus transforming its essence and leaving aside its conventional use. The enormous time consuming process of the practice of the clay becomes here an act of soothing rebellion. Listening and abandoning oneself to the material as it dictates, in a way, the artist’s living rythm. The project carries on the artist’s battle against the « bla », the concept of overconsumption and overfeeding on images and sounds as the tangibly sole foundation of today’s society. 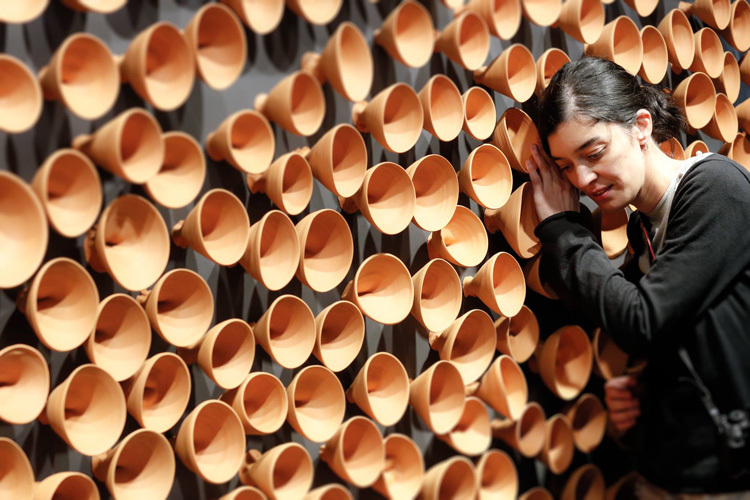 The installation becomes a sensory experience as each bowl reveals its own natural resonance. Liberated from the burden of any explicit narrative content, the work first provokes an intense physical dialogue with the viewer. The modeled lines forming around the gaped mouths uniquevokely resemble the ripples formed by sound waves. The murmurs emanating recall that first purely poetic vibration that originated all human communication. 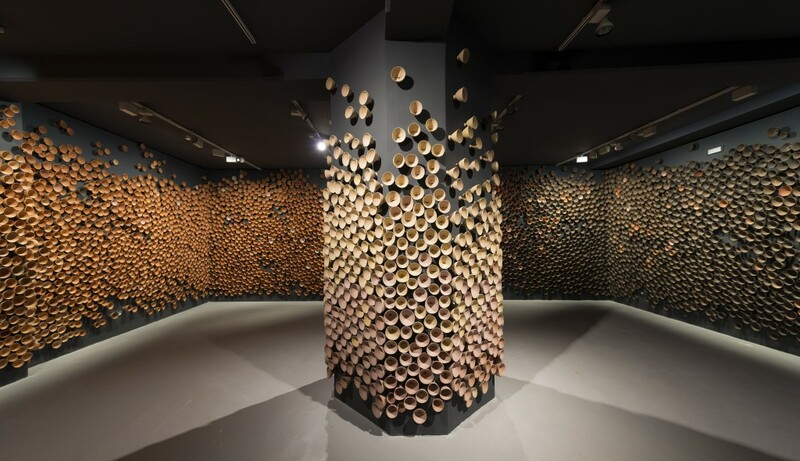 In the current context, Murmuri also refers to the many fluctuations of human populations, present and future, and their influence on social structures and the environement. The resonance phenomenon is perceptible mostly through sound but the propagation of that one initial movement could be transposed to human fluxes. Placed in calculated patterns, the different tonalities of the clay suggest the incessant migrations happening in the world. Breaking down border and other invisible barriers, Ariza places the viewer at the center of this original vibration that constituted all matter in the universe. 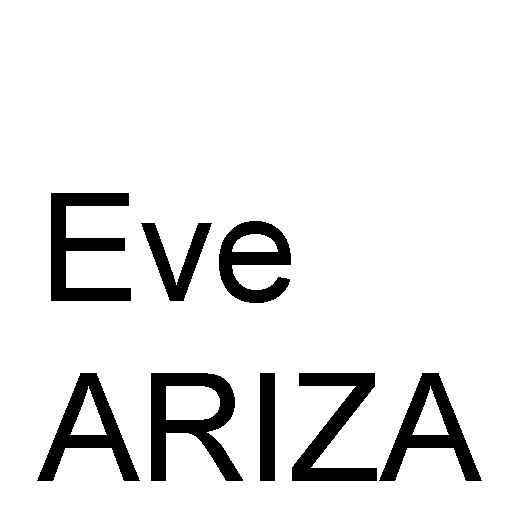 Eve Ariza’s entire body of work reflects, from ceramics to activist happenings, on human communication and the intrications of language in a post-consumerist society. Through often ephemeral actions, she has been a tenacious critic of the Andorran microcosmos and its downsides.